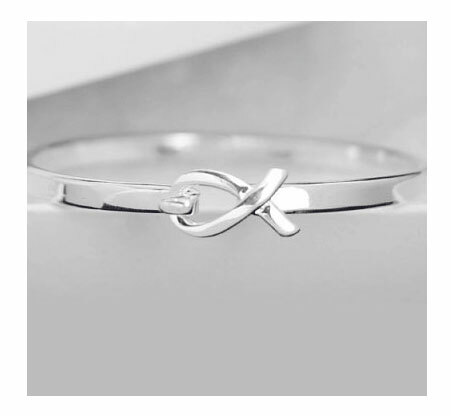 This handmade, sterling silver plated ribbon bracelet is an elegant way to show your support for cervical cancer awareness. The bracelet, approximately 8 inches in diameter, interlocks with a ribbon. Each bracelet comes in a gift box with cotton insert.